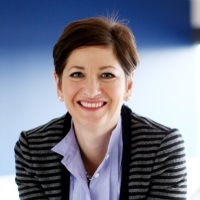 Amy MacLeod, VP of corporate communications at Mitel, discusses how PR pros can have a long, diverse career spanning the public and private sectors while living in Canada's national capital. By _muckraker_ - foggy ottawa, CC BY-SA 2.0, under the Creative Commons Attribution-Share Alike 2.0 Generic. Cropped and resized from original. It’s unique not only as a place to live but also as a place to have a PR career. 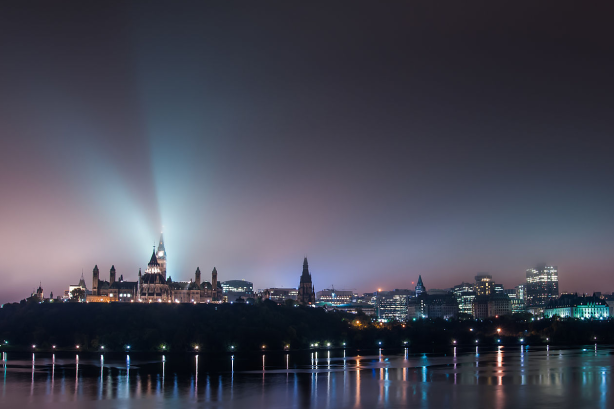 As Canada’s capital, it has a diverse ecosystem for PR pros. This is a bilingual city; we all speak English and French, or we strive to at any rate. Because we’re the capital, we also have a rich multicultural environment with a strong diplomatic community representing every country in the world. The character of Ottawa is multinational and multicultural, encompassing the public and private sectors with unique opportunities for PR pros. Ottawa has a quality of life unique not only in Canada, but also globally. It’s a big city in terms of career opportunities and amenities, yet retains a small city charm: safe, easy to get around, enormous green spaces. Wherever you’re coming from, you’ll feel at home in Ottawa. Can you delve into those opportunities? The downtown core is a rich political and public sector sphere: election campaigns, political work, public and governmental work is all available to the PR community. At the other end of town, where I am - the west end, Kanata North actually - is a diverse, robust, multinational high-tech business community. Ottawa is often referred to as the Silicon Valley of the North. Is that still the case? Yes. You have this downtown, political and public sector core and, on the west end, a high-tech multinational business community: everything from startups to all the big brands you can imagine, including Mitel. Layered on top of that, because it is the national capital, we have every national association, business, nonprofit, healthcare association — everything that shapes the federal landscape. From my window, I can see all around me brands that represent the global high-tech community. In this ecosystem, specialty PR communities developed that are b2b, b2c, multinational by nature. It also spans publicly traded companies and private startups looking to be the next big thing in tech within a 10-city-block radius, with Ericsson, Nokia, Mitel, Microsoft — every big brand you can imagine. Silicon Valley is notoriously tight-lipped. How do Ottawa tech companies handle comms? It depends on the company. Mitel is publicly traded and operates globally and that shapes the type of comms we do. We follow the regulatory process every publicly traded company has to. That’s the nature of the beast here. The startup community might govern itself differently because it isn’t yet public. It really depends on the nature of the business rather than where it’s located. Is it easy for PR pros to move between different industries? PR and comms represent competencies that can transfer between sectors and from private to political. I’ve done it myself. I started in politics almost 30 years ago then leveraged my political experience to step into a government relations role in the private sector. In the private sector, I transferred from high-tech to defense back to high-tech in another area. We’re lucky because our skills aren’t tied to a specific sector. Tips for PR pros moving to Ottawa? To be effective you need a global mindset and an appetite for cultural diversity and awareness. In a densely populated tech community like Ottawa, networking opportunities are huge. Don’t confine yourself to one sector. You find opportunities through networking. In this small city, your next career opportunity is probably at a cocktail party or event or music festival. You need to get out and network. Ottawa is a very easy city to do that. We are by nature social people. You could spend your whole life here as a comms pro, move around every three to four years and never get bored, stop learning, or stop increasing your competence and marketability, without moving from your house in this city.